Electricity deregulation in the state of Illinois happened in 1997, but most residential consumers don't realize they have the option to switch from their energy provider. Power2Switch is here to change that. 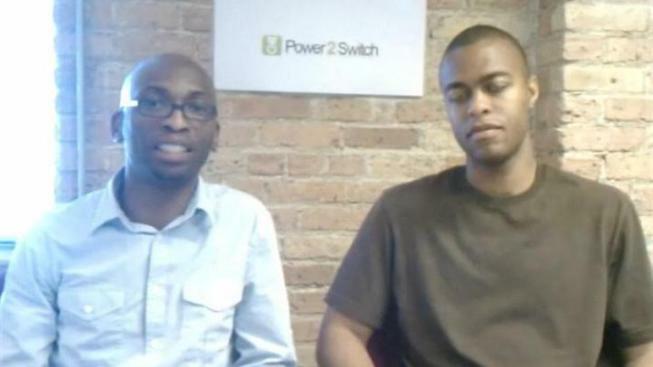 The company, which was founded by Seyi Fabode and Phil Nevels, is the one-stop shop for consumers to find and switch to lower-cost energy plans here in Illinois. Fabode and Nevels came up with the idea when they met at the Booth School of Business at The University of Chicago. Fabode had worked in the electricity industry in the United Kingdom, and had seen a similar model for business there. "The awareness that consumers have choice in their electricity providers is extremely low," Nevels explains. "Even if you are aware, it's very difficult to understand how to navigate it, how do you compare your choices?" The pair wanted to make it easier for the everyman to make the switch if he or she wanted, and the easiest way for them to do this, was through the website. "What Power2Switch does, is provides a web based platform that allows small business and residential customers to come to a site and very quickly and easily compare and shop electricity suppliers," Nevels explains. The pair took the idea and ran it through the New Venture Challenge at the Booth School of Business, and while they did not win the competition, they were able to get a lot of feedback, and they are one of only 3 businesses that are still in operation, out of the over 26 teams that started. Power2Switch launched in January of 2010, and since then, the website has gone through two major revamp's, and they are currently working on their third. This is a testament Nevels advice to new business owners, "don't worry about being perfect." Since the website launched, the company was accepted into Excelerate's Incubator Program, as one of 10 business -- they emerged from an application pool of over 500. Their involvement with Excelerate helped them to be chosen to present their business model at the CGI America at the end of June. "Any exposure is great because awareness is a key issue for us," Nevels explained of how CGI America helped them. "People need to know they have choices, before they can start shopping for choices." So what's the advice that the pair has for anyone else thinking of starting their own internet business? Make sure you'll have customers. "Be sure people will need the service you want to provide," Fabode explains. "If there's a need for the service, you will be fine."